Co-Founder & Principal of Project Inkblot. 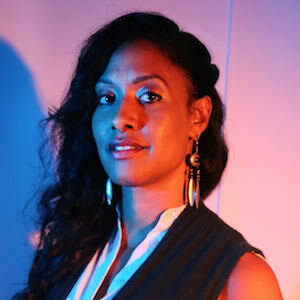 Spanning over 15 years experience in strategy, sales, facilitation and writing/editing, Jahan began a career in publishing as an Account Manager for Time Out New York before moving on to the editorial side as the Associate Editor for Beyond Race magazine. Prior to Project Inkblot, Jahan co-founded an arts and social impact online publication managing a team of 15 contributors where she produced, edited and/or wrote over 100 articles/multimedia content interviewing social entrepreneurs with a global impact including Boushra Almutawakel, the first woman Yemeni photographer, and author and food activist, Bryant Terry. Jahan is also the co-creator/executive producer of Fit the Description, a video interview series between Black male civilians and Black male officers sharing their personal experiences with, and within, law enforcement. Using strategy, empathy and design principles, Jahan co-designed and co-facilitated an accompanying interactive workshop to engage audiences in conversations around identity, leading events at spaces from Neuehouse to Fordham University. Jahan earned a B.A. in Communications and Culture from Clark University and is the recipient of the Kate Spade and Company Fellowship at the New Museum Incubator, NEW INC. An avid traveler, Jahan has lived in far-reaching locales from Colombia to Scotland. She is a proud native New Yorker and currently resides in Brooklyn. In this multi-media and energizing talk, Jahan Mantin and Boyuan Gao introduce the key principles of Design for Diversity™ (D4D), a powerful framework that illuminates blind spots around cultural and racial biases within your team’s workflows, decision making and design processes, before they are embedded into the end product or service. D4D also illuminates opportunities for greater business and social impact.